Monsey, NY - The Vizhnitzer world has been plunged into mourning following the death of Rabbi Mordechai Hager, the Vizhnitzer Rebbe of Monsey. The fifth rebbe of the Vizhnitzer dynasty, Rabbi Hager was born in 1922. Rabbi Hager and his brother took over the leadership of Vizhnitz after the passing of their father, Rabbi Chaim Meir Hager, the Imrei Chaim, in 1972, with Rabbi Mordechai Hager serving as the Vizhnitzer Rebbe in New York and Rabbi Yehoshua Hager serving as the Vizhnitzer Rebbe of Bnei Brak until his death five years ago, also at age 95. Believed to the be the oldest Chasidic rebbe in the world who had thousands of followers, Rabbi Hager and his wife, the daughter of the Skverer Rebbe, Rabbi Yaakov Yosef Twersky, had 14 children. 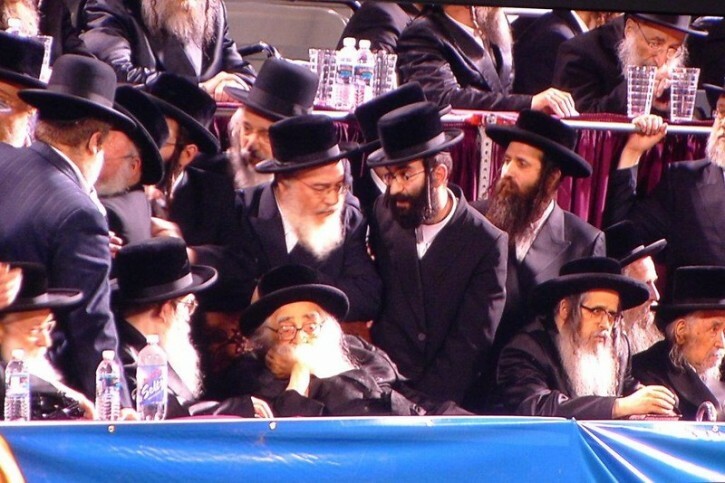 His oldest son, the Vizhnitzer Rebbe of Borough Park, Rabbi Pinchas Shalom Hager, died two years ago after suffering complications from spinal surgery, as previously reported on VIN News (http://bit.ly/2zeLC1d). His other sons, Rabbi Yisroel Hager, Rabbi Mendel Hager, Rabbi Yitzchok Yochanan Hager, Rabbi Eliezer Hager, Rabbi Aron Hager, Rabbi Dovid Hager and Rabbi Boruch Shimshon Hager, are leaders of Vizhnitzer communities in Monsey, Kiamesha Lake, Williamsburg, Jerusalem, Montreal, London and Beit Shemesh. The Vizhnitzer Rebbe had been in poor health in recent months, with many answered renewed calls for prayer for his recovery. He was known for spending almost all of his waking hours immersed in Torah study and demanded a smaller but similar commitment from his chasidim, urging them to devote a minimum of two hours of their day to learning Torah. Tens of thousands are expected at the funeral this afternoon. The Ramapo Police Department has issued an advisory, warning the public of extensive traffic in the Monsey area over the next 6 hours due to an expected large turnout at the funeral. Those attending the levaya, which will be held at 12:30 PM at the Vizhnitzer shul on Phyllis Terrace, are asked to park at baseball stadium on Route 45 in Pomona, with shuttle buses transporting participants to main Monsey for the funeral. Massive road closures will be in place throughout the day to accommodate the crowds, which are expected to number in the tens of thousands. Route 306 will be shut down from Route 59 all the way through Pomona Road and Maple Avenue closed from Union Road through the intersection of Saddle River Road and West Maple Avenu. You summed up our generation perfectly. Bdh. May his memory be blessed. His brother was Rav Moshe of BB not Rav Yehoshia. BDE a huge tzadik who was for no nonsense. He required his chasidm to learn bhasmada and had monthly requirements. By the way he as very makpid re not taking pictures of himself like the reba's of old. times. VIN should remove the picture of him as an honor for this tzadaik. The Ahaves Yisroel gave the name Moshe Yeshua, out of tradition not naming him after previous grandparents but after 2 leaders of klal yisroel he said because moshe was saved from korach and yehoshua from the meraglim.